Willian says everyone calmed down when walking down the tunnel following the Marco Ianni incident in Chelsea's 2-2 draw with Manchester United on Saturday. 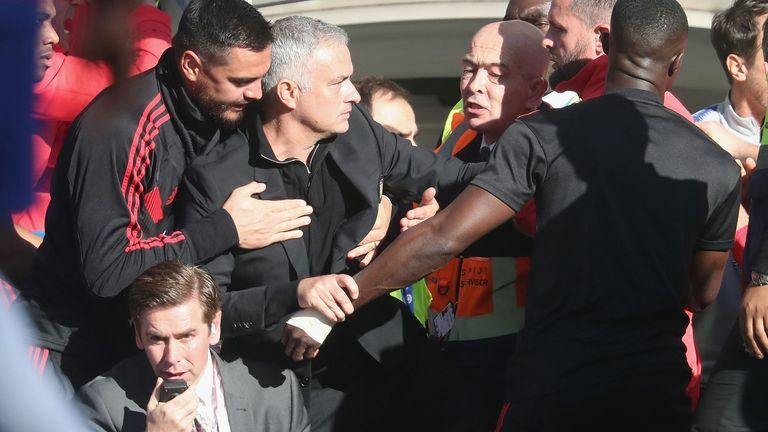 Ianni's exuberant celebrations after a late Ross Barkley equaliser sparked an an angry reaction from United boss Jose Mourinho - and the Chelsea assistant coach has since been charged by the FA for his conduct. Two goals from Anthony Martial had put United on course for victory after Antonio Rudiger opened the scoring in the first half with a header. 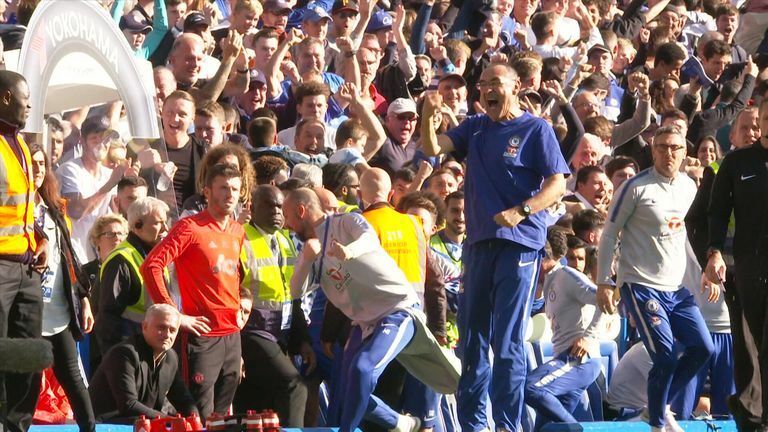 But Barkley's 96th-minute equaliser caused wild celebrations, with Ianni jumping around in front of the United bench. Speaking about the melee, Chelsea midfielder Willian said: "When we scored the second goal there was a little bit of a discussion outside the pitch. Then after the game, everyone was quiet and friendly. "We just went to the tunnel to talk and to say to Mourinho to keep calm and then the same was said to our staff as well, then it was calm." 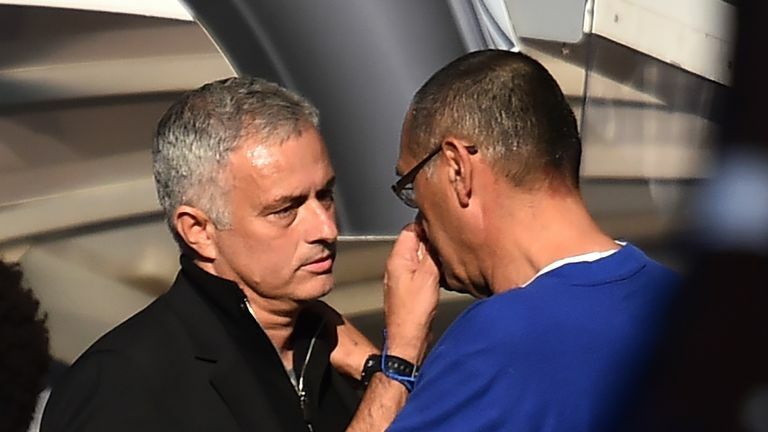 Maurizo Sarri intervened to apologise to Mourinho with both managers later confirming Ianni had also said sorry for his part in the incident, however, Willian said his reaction was due to the game being "emotional". "It [the game] is very emotional and the guy I am sure he doesn't want to do something wrong, he doesn't want to disrespect the team," the Brazilian international added. "He did that [celebration] because in the last minute we scored a goal and we needed this goal. He did this because he feel passion and that's why."